Entrust your Harley-Davidson® motorcycle to our highly qualified factory trained technicians. Thanks to their experience, they will know how to take care of your vehicle to guarantee a high-performance, pleasant to drive, reliable and safe motorcycle. Need an oil change, a tires installation or a suspension and brakes inspection? We take care of maintenance and repair of your Harley-Davidson® motorcycle but also of detailing and paint services. 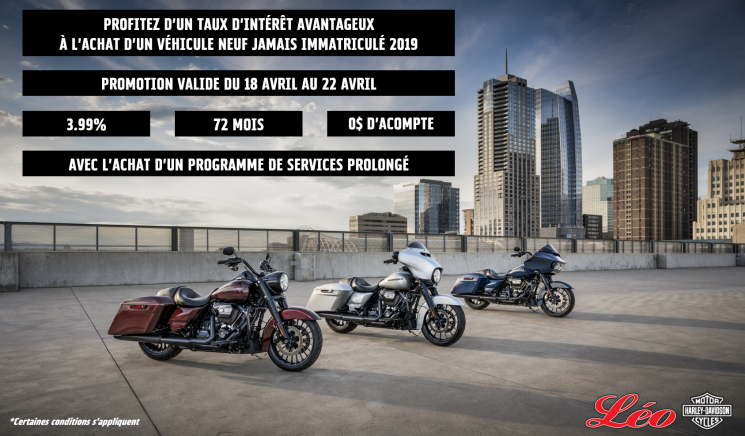 Leo Harley-Davidson® and FC51 join forces to better serve you in the painting of your motorcycle with state-of-the-art paint rooms and high quality products. Discover our range of Harley-Davidson® parts, clothing and accessories. We also offer storage of your motorcycle for winter as well as renting of Harley-Davidson® motorcycles. Contact us to learn more, we will be happy to give you more information about our services. 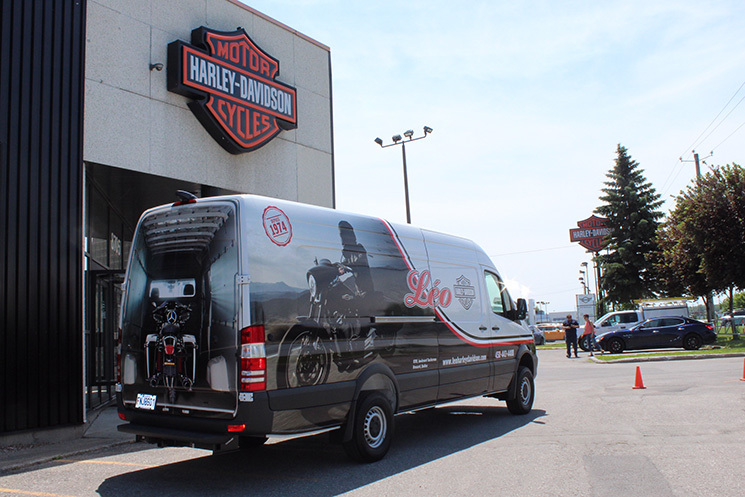 At Léo Harley-Davidson®, we have our own custom modification and performance division. Our dedicated team and our experience of more than 40 years allow us to offer you a turnkey service for a powerful and personalized motorcycle. Contact us to schedule your next maintenance. We are proud to introduce you to who we are. A passionate team united by the love of riding a Harley-Davidson®. Monday: 9:00 a.m. to 6:00 p.m.
Tuesday: 9:00 a.m. to 6:00 p.m.
Wednesday: 9:00 a.m. to 6:00 p.m.
Sunday: 10:00 a.m. to 4:00 p.m.